To place trades in the U.S. and Canada markets, you are required to complete an Exchange Market Agreement. Log in to DBS iWealth Internet Banking with your User ID and PIN. Select Invest from the top menu. Under Wealth Management Account, click the Trade button in the Equity section. Under My Account, select Account Management. 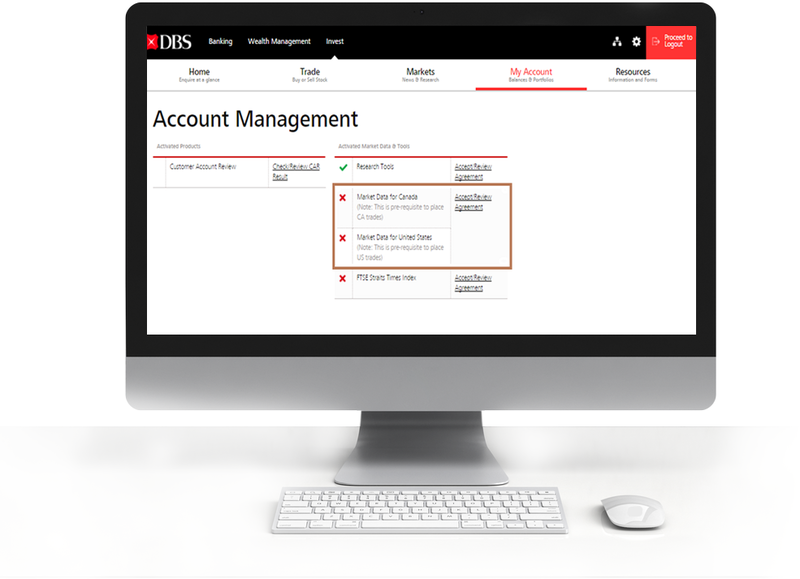 Not a DBS iWealth user? Note: Upon successful registration, you will receive a physical token after 3 working days. Activate the token to enjoy our full suite of online services on DBS iWealth.